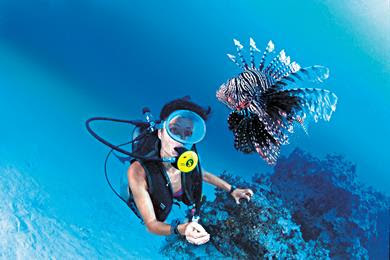 Dive with experts in some of the world’s most coveted destinations! Travellers seeking adventure in an exotic location should look no further than Paul Gauguin Cruises. 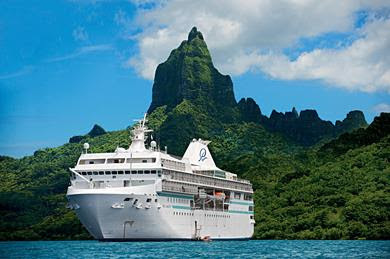 As the French Polynesia specialists, Paul Gauguin Cruises are uniquely positioned to reveal the wonders that await in the translucent aqua lagoons and rainbow-coloured coral reefs of the South Seas. Every voyage aboard the luxurious 332-guest m/s Paul Gauguin offers optional diving excursions led by an expert dive team. First time divers can take an onboard Discover SCUBA Diving class, earn credit towards PADI (Professional Association of Diving Instructors) certification, and dive in! The Gauguin offers PADI certification on board, as well as refresher courses, and is the only option for diving in the Marquesas. Past guests of The Gauguin also receive 5% off fares with Paul Gauguin Society savings. Owned by Pacific Beachcomber S.C., French Polynesia’s leading luxury hotel and cruise operator, Paul Gauguin Cruises operates the 5+-star cruise ship, the 332-guest m/s Paul Gauguin, providing a deluxe cruise experience tailored to the unparalleled wonders of Tahiti, French Polynesia, and the South Pacific. The m/v Tere Moana offers voyages in the Caribbean, Latin America, and Europe, accommodating 88 guests with a staff of 62.